According to research, more than 90 percent of patients trust health-related information found on social media. Facebook is typically the best network for healthcare professionals, with more than 2 billion users. (And if someone recommends your services to a friend on Facebook, it has the power of a word-of-mouth referral times 10!) Twitter also offers significant engagement opportunities, enabling medical professionals to easily connect with patients via infographics, downloadable patient education resources, and research announcements. Using social media to attract new patients and interact with existing patients can transform a healthcare practice. It provides a powerful communication tool that strengthens relationships with existing patients by building an online rapport. When interesting and relevant posts are shared, it attracts new patients while also building a strong brand image for a practice. Plus, it takes less time – and costs significantly less – than other forms of marketing activities. Facebook in particular is a great place to advertise. The costs are low and Facebook gathers detailed information from its users and provides this information to advertisers in order to target a very specific audience. This means that ads for your practice can appear on the time-lines of users of a particular gender, age, location, socioeconomic status and interest. You can’t get more qualified than that and you only pay for users who click to your website or “like” your Facebook page. And positive experiences shared by patients on social media can be used as testimonials and referrals! Share educational content that helps establish you and your practice as a trusted source of information. Stick with consistent messaging and content that highlights your specialty – and your expertise. Social media is a simple yet effective communication platform for healthcare practices. So, developing a social media strategy should be a cornerstone of every organization’s patient engagement strategy. iHealthSpot is a full-service digital marketing partner that can support the unique needs of any healthcare practice, providing proprietary patient education content as well as online marketing services including social media and reputation management. If you are interested in learning more, contact us, toll-free at (877) 709-0999 for your FREE consultation with our marketing experts today! Do you know how to get the most out of social media for your business? In the healthcare industry, it may seem like social media is optional, but truly, social media marketing is essential for all industries if you ask me. Nowhere else on the web can you interact with prospective and existing patients like you can on Facebook and Twitter, which is why more companies around the globe are investing in social media marketing. Facebook is highly social, which is good for business. People tend to tell stories, share inspiring images, quotes, and checklists, talk about news headlines, and express their satisfaction (or dissatisfaction) with local businesses. Facebook users also like to engage in contests – photo contests, general sweepstakes, and much more. So why is Facebook good for business? If someone recommends your services to a friend on Facebook, it has the power of a word-of-mouth referral times 10. Why? People who are friends with your happy patients will discover your practice without the influence of an ad. Google also favors websites that have a lot of organic traffic, so Facebook can actually boost your search engine rank. Same goes for some other social platforms, namely Twitter and Google +. If you do Facebook right, it can be one of the least expensive and most effective marketing strategies you use this year. If you do want to invest in Facebook ads, the iHealthSpot marketing team can help you target those ads specifically to people you want as patients. Facebook (and Twitter) ads can be targeted to people of a certain age, profession or job title, city/state, and many other demographics that are captured in social media profiles. This is not possible on any other marketing platforms, like radio, TV, or print ads. Because of this, many companies are putting more money into their marketing budget for social media. In fact, some businesses are putting social media at the foundation of their marketing plan to drive growth. To get the most out of your social media marketing budget, it pays to hire a professional unless you have someone on staff who can dedicated a minimum of 5-10 hours per week to social efforts. A social media marketing strategy should include enough time (and financial resources) to research your target audience, create a social media campaign (and content) that will speak to your audience, execute that campaign, foster engagement and generate a buzz about your brand during the campaign, and analyze the results. A social marketing professional will know how to use the latest technology and online tools to maximize your return on investment (ROI). Unfortunately, only a small portion (< 5%) of your Facebook fans will see your posts in their news feed, but an expert can help boost your visibility on social media platforms like Facebook, Twitter, and Google +. Still not convinced the healthcare industry doesn’t need social media marketing? Consider these statistics from hubspot. Want to review the basics of social media for healthcare professionals? Check out part 1 of this series. We get a lot of questions about social media from doctors, nurse practitioners, and other healthcare professionals. Here are some of the most common. What are the best social networks for healthcare professionals? Facebook, Twitter, and LinkedIn. Some doctors also use Pinterest. Of these, the best network for our clients is Facebook. There are over 1 billion users on Facebook and the audience is primarily people between 35-60, with slightly more females than males. Twitter has great value for healthcare professionals who want to engage with their patients and the industry with infographics, downloadable resources, and research announcements. You’ll need a professional profile image and header image. You’ll also need to write a short description about you and your practice. Some people also choose to include their office hours in their profile. After your account is created, you will want to connect with people you know – patients, colleagues, etc. This can be done by email address or manually searching for contacts. Healthcare professionals should use social media to post practice updates, photos of staff and events, and relevant news from the medical industry. You want to promote your practice, but not every post should be about you. Try to mix in some posts that share information from reliable news sources and other (non-competing) businesses that support your community. Imagine yourself as a prospective or established patient – what would you want to know about? Posting every day would be great, but not everyone has the time. We recommend posting at least two or three times per week. The ideal times to post are between noon and 4 pm, Monday through Friday. Who will see our posts? Anyone who visits your Facebook page or Twitter page will see your posts. Whoever likes your Facebook page (becomes a fan) or follows you on Twitter will see your posts in their news feed. How do we get new fans and followers? What are best practices for professional use of social media? Social media is a way to personally connect with your patients, but be conservative and keep it professional. Don’t share photos that you wouldn’t want the world to see. Don’t post controversial information or use inflammatory language. You may also want to include a disclaimer in your account profile saying that the posts are for informative purposes only and are not meant to be a diagnosis. Our next post will deal more with the marketing side of social media. Most companies are allocating funds for social media in their marketing budget, and we’ll explain why. In the meantime, if you want to know more about the social media marketing services iHealthSpot can provide, just give us a call: (877) 709-0999. You’ve worked hard to provide your patients with the most advanced treatment options available under one roof and you pride yourself on providing the latest in technology. Your practice is modern, state-of-the-art and on the leading edge. Shouldn’t your website also have all the bells and whistles to reflect the forward thinking nature of your practice? Why, yes it should. But do you know what your patients expect from your website? 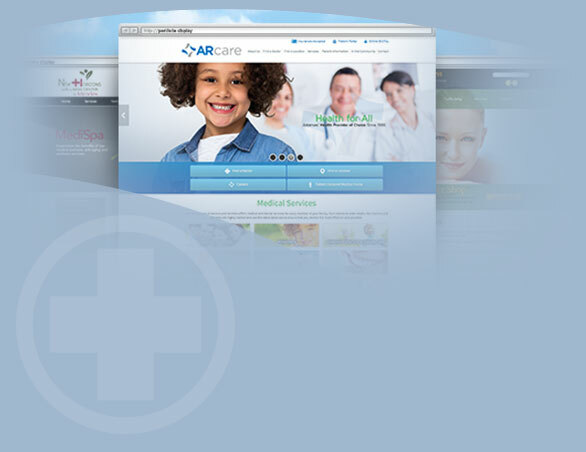 Here’s a little insight into what people not only want, but expect from your medical website. People these days are constantly tied to a mobile device, so priority number one is a mobile-friendly website. If a prospective patient can’t view your online information using their phone, they will move on in seconds. Having a mobile site is also good for SEO. Check out these blog posts for more details. But first, keep reading. There are a few more features that are in high demand: online bill pay, a patient portal and reliable patient education. According to current statistics, a whopping 69 million Americans do their banking online, and 56% of consumers pay bills online. Why not give your patients an option to pay their medical bill online? It is great for the patient because they can make a payment anytime, day or night. It is great for you because statistics tells us that offering a convenient, online way to pay a bill results in much higher collections! See more online mobile banking statistics or learn more about how to set up online billpay with iHealthSpot. Patients want easier ways to communicate with their doctors offices. Specifically, they want a way to interact with the practice online. Requesting appointments, automated reminders, sending secure messages and seeing test results online are just some of the ways you can make life easier for the patient, and improve patient satisfaction. Patients want to feel empowered and involved in their own care and a secure patient portal allows them to do this, while still leaving you in control of their healthcare. A patient portal will also streamline your own office functions and save you money in the long-run. The iHealthSpot ezpatient portal features HIPAA-compliant electronic messaging technology, appointment requests, electronic patient forms, and more. Learn more about setting up a patient portal. Patients are looking for health information online in record numbers. In fact, according to the latest polls, an incredible 150 million Americans search for health information online. Much of what they find is either inaccurate, difficult to understand, or is linked to advertising. It is imperative that your website include reliable, lay-friendly patient education information so that you can be sure your patients get their health information from a trusted and reliable source – you! Absent this, you’ll be sure to waste time dispelling incorrect self-diagnosis or convincing your patients that an unproven remedy will not cure what ails them. iHealthSpot includes award winning, peer-reviewed patient education for every medical specialty in its website hosting packages. Let your patients pay their bill and communicate with your practice online and control what they learn about their illnesses. Your patients will thank you for it! Call (877) 709-0999 for free information about any of these services – mobile and responsive websites, online bill pay, patient portal, and patient education. If you’ve Googled yourself or your practice lately, you’ve probably noticed star ratings associated with your name. Reviews of businesses are now common-place and medical practices and their providers are no different. An industry report was released in November 2014 by SoftwareAdvice.com, detailing the latest trends in online patient reviews for doctors. Highlights from the report are listed below – which one surprises you the most? Patients using online reviews from 2013 to 2014 increased by 68%. The most utilized review sites in 2014 were Yelp, Healthgrades, and RateMDs. Number of patients who use reviews to select a new doctor: 61%. The large majority (81%) of people would give a positive or neutral review of a doctor online, according to a university study (Hanauer, et al, JAMA, 2014). So what are patients looking for when they read online reviews from other patients? For doctors, the information most patients look for in a review is 1) quality of care; 2) patient rating scores; and 3) overall patient experience. An accurate diagnosis and a doctor’s listening skills are also top priorities. For the office and staff, 25% of patients think wait time is an important factor when choosing a doctor, and (in a previous report) 41% would prefer to switch doctors if it meant they would wait less. Staff friendliness and ease of scheduling and billing/payment issues were also high on the list. Online reputation management is a service we offer to iHealthSpot clients. The aim is to monitor patient reviews online, promptly address any negative or false information, encourage patients to share their positive experiences with the doctor, and promote those testimonials on social media. Individual doctors and group practices are drawn to this service because it allows them to take full advantage of online patient reviews without doing all the work. With iHealthSpot managing your reputation online, you can focus on creating positive patient experiences that will turn into dozens of positive testimonials. Read the full Software Advice report here.